A senior military officer is among those who were arrested from the Houthi cell which carried out the attack on al-Anad airbase last Thursday, according to an Al Arabiya source. The source said that the unnamed officer had left the base 15 minutes before the attack. Yemen's interior ministry announced on Tuesday the arrest of a terrorist cell belonging to the Houthi militias who were behind the attack on the al-Anad airbase last Thursday. The ministry stated that the cell works for the Houthis in Aden, Lahij and other liberated areas. The announcement came at a joint press conference held by Deputy Prime Minister and Minister of Interior Ahmed al-Misri, and the head of security in Lahij Brigadier General Saleh al-Sayyid. 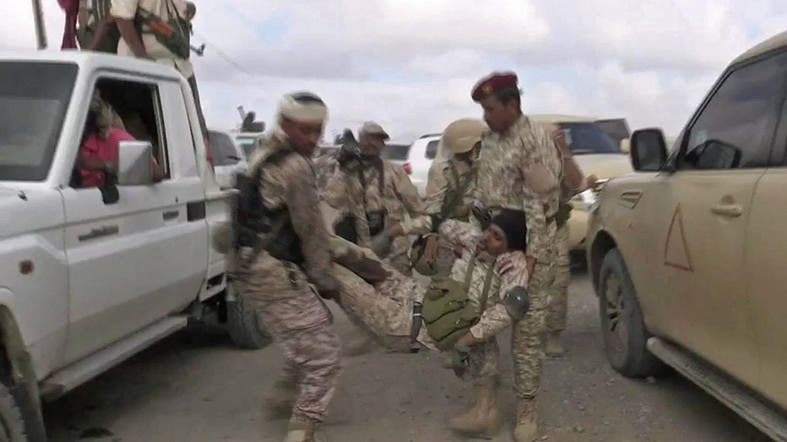 Al-Misri said that the cell members were arrested over the past few days in the Lahij province, north of Aden, where the al-Anad airbase is located. They also admitted to being trained by Houthi experts in Sanaa and Dhamar, which are areas controlled by the militias, to carry out assassinations and bombings in liberated areas. Al-Misri confirmed that members of the cell were involved in the drone attack on the al-Anad airbase last Thursday, which resulted in the killing and wounding of several officers and soldiers in the Yemeni army.